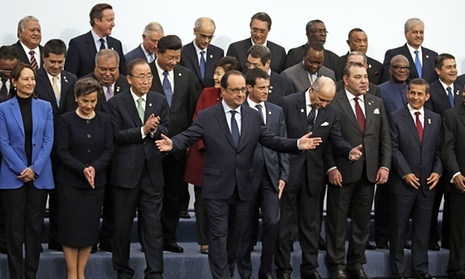 Today is the first day of the Paris summit on climate change. 195 countries and nearly 150 world leaders including Barack Obama and Xi Jinping meet in Paris for COP21 UN climate change conference. There’s even many dignitaries such as Charles, Prince of Wales there – a long-time advocate for action on climate change. Do I dare say I’m hopeful? Sure, why not? I hope that a positive agenda can be established by this summit, and that it can be the beginning of real action on this problem. The aim is to achieve binding international action on climate change, after all. Whatever doubt I have comes partly from cynicism, and partly from learning more about geopolitics. I’m no expert (which probably fuels my cynicism), but learning about previous UN summits, the ensuing lack of action, as well as the numerous power plays power plays in these meetings makes me temper my hope somewhat. I’m aware that these summits are often perceived as talking-shops for the big boys – ways to make the world believe they’re committed to doing something good, but then later on move right back into their usual routine of corruption and consumption. But it’s not true – these summits do something – they show how power in the world is shifting, and this might be the biggest outcome from this summit: we probably won’t be celebrating unilateral action on climate change in a month – but we probably will know who will lead the charge. Everyone knows developed nations use these summits as a way of curbing the power of developing nations – the difference is this time, developing nations are in a much stronger position to challenge the Western status quo. Their markets are stronger, the geo-political situation is more complex, and people are more aware of the devastating, immediate impacts of climate change. Developing nations might be in a position to take on the old-gang at their own game. We might see that as good: down with hegemony! All that stuff. However, we might have to realistically face that we’ll leave the summit with a deal we don’t want. Developing nations for sure deserve a place at the table, and deserve to set the agenda alongside the old elites. However, they might not take too kindly on measures which curb climate change by limiting their economic potential – Western hypocrisy notwithstanding. So will we see global action on climate change? I hope so, probably not – but I hope so.